Growing up in the Orthodox Religion we were taught and taken to the Greek Orthodox Church many times. Our school would be part of the church services on important dates and we were taught the Orthodox religion. If you have never been into a Greek Church you should. 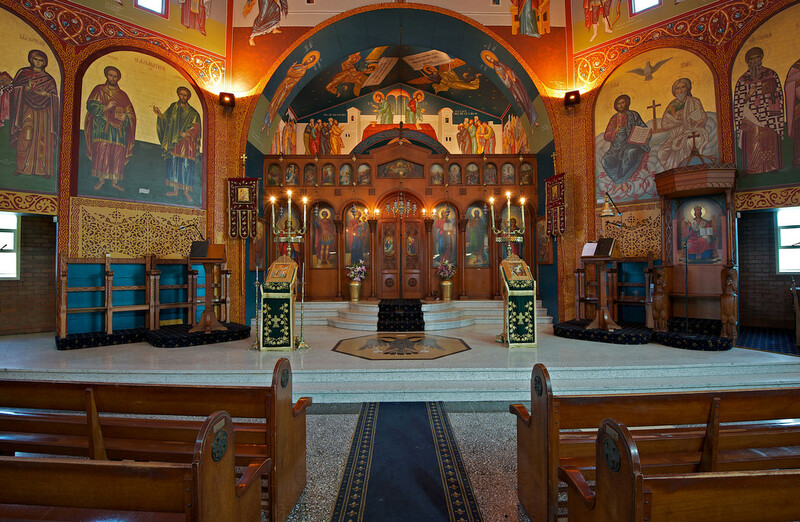 Greek Orthodox is a Christian religion. Don’t be worried in Greece and Cyprus there are other religions. You can find Catholics, Muslims, Jews, Hindus and more. In Greece and Cyprus these are minority groups. 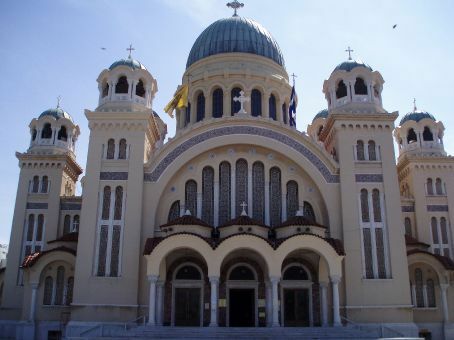 Read on to learn more about Greek Orthodox Churches. 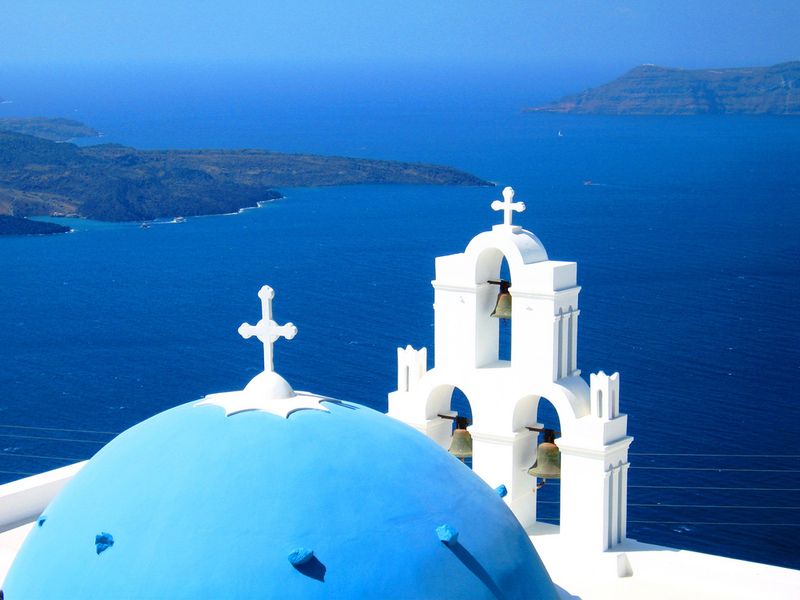 There are many important characteristics about the Greek Orthodox Religion. The Virgin Mary or Panagia (All Saint) is what she is known by all Greeks. The clergy at the church are all male, priests can have wives as long as they are married before they are ordained. Once a priest is married they can never become a bishop. In the Greek church you will see icons and religious art work and these are given great significance. 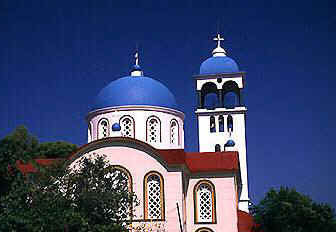 Greece and Cyprus are populated with many churches, you can find a church in every village, sometimes more than one. Churches are found in different sizes but they all share some common features. You will find glorious Icons through out the church. The wall of icons sometimes referred to as an Iconostasis separates the holiest place of the church. This is where you can find the Alter. The only people allowed behind the Iconostasis are the clergyman. Churches are always named after its saint. When you travel around Greece and Cyprus you will find icons of various saints. A Greek family and business will have icons present everywhere. You will find icons in cars, boats etc. The Greeks do not worship the icons, they worship what they icon represents as a window to heaven. The Greek orthodox baptism is very important. The religious process has not changed. A child is usually around a year old and is put under the water. Generally Greek parents do not call their child by it’s name until it has been christened. It is said that on this day many miracles occur. To find your nearest Church you can visit the Ellines United Directory and search for your closes Church. If the Church is not listed you can add to the directory for free.